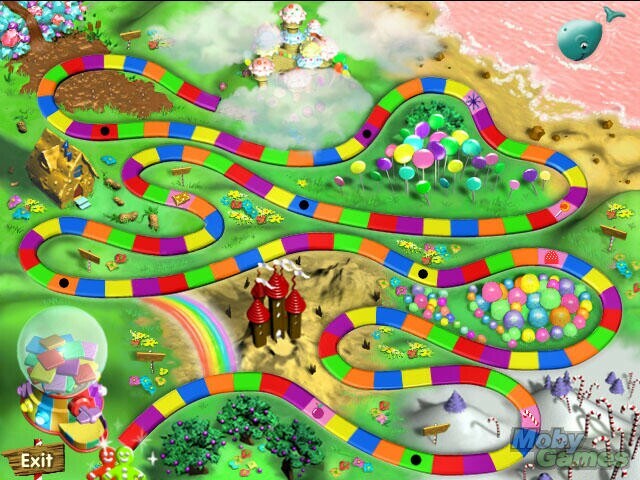 The Candy Land computer game is a version of the classic board game brought to life and enhanced. One player can play against a computer opponent, or up to 4 people can take turns. 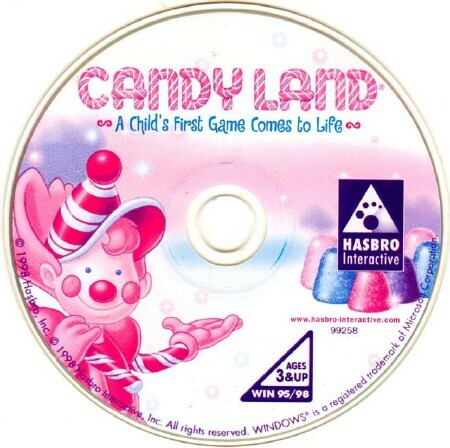 To advance, a player clicks on a machine which produces a piece of colored candy. The player is allowed to move to the next space that shares the same color as the candy which was just drawn. Some spaces are sticky and if a player lands on one, they will lose one or more turns. Some pieces contain special candies which will cause a player to warp to different areas on the board, which may be either ahead or behind of the player's current space. Gingerbread Plum Trees: Help Plumpy (the last of the Plumpa trolls) collect plums for pies. Do this by clicking on him to tickle him so he'll surrender a plum. Licorice Castle: Lord Licorice has a telescope mounted atop his castle through which you can view the whole of Candy Land. Peppermint Forest: Mr. Mint, the royal lumberjack, tutors you in how to make freeform music on a hodgepodge of instruments. Gumdrop Mountains: Jolly, the official Gumdrop Mountain Greeter, enlists your help to restore color to the Gumdrop Mountains. Do this by selecting gumdrop colors that Jolly can place in his spoon-shaped catapult to launch toward the mountain. Peanut Brittle House: Help Grandma Nut grow candy by planting seeds of chocolate chips, caramel chunks, etc. in mounds and watering them. Also, help her redecorate her house. 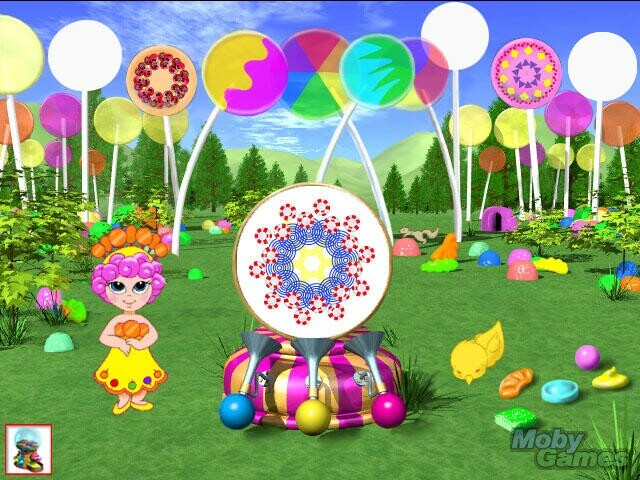 Lollipop Woods: Princess Lolly offers the opportunity to help decorate lollipops with designs that come from a coloring machine that the player can control. Ice Cream Sea: Create an enormous ice cream sundae and then request that the fairy set it adrift on the ice cream sea to be devoured wholesale by a whale. Molasses Swamp: Gloppy, the curator of the swamp, is just happy to see the player. Children will have fun interacting with the surroundings.